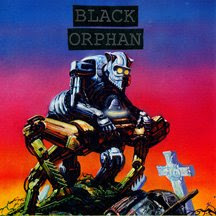 Ongakubaka: Black Orphan - Circuits 7" + Video Kids 7"
Black Orphan - Circuits 7" + Video Kids 7"
No-fi electro-punk from the bowels of Michigan. 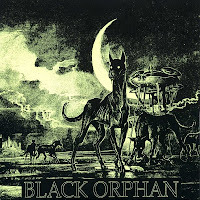 This reminds me a bit of Wavves at times, however the distinct baritone vocals of Black Orphan make a direct comparison difficult. I'd love to tell you more about the band, but their catalog is rather limited and they rarely play out. There seems to be a lot of mystique surrounding this band. People around here talk about these guys like they're gods or serial killers or something. Either way, these are both solid little records. Circuits link is busted I think. hmmm... seems to be working alright for me. If it's still down for everyone else later let me know and I'll re-up it. Could just be a temporary mediafire problem. thanks a lot.awesome. and these guys have the best covers ever. yeah, I'm not getting the circuits link to work. if you can get to it, I'd love to hear!